With a few notable exceptions, the V12 engine’s future looks grim at best. 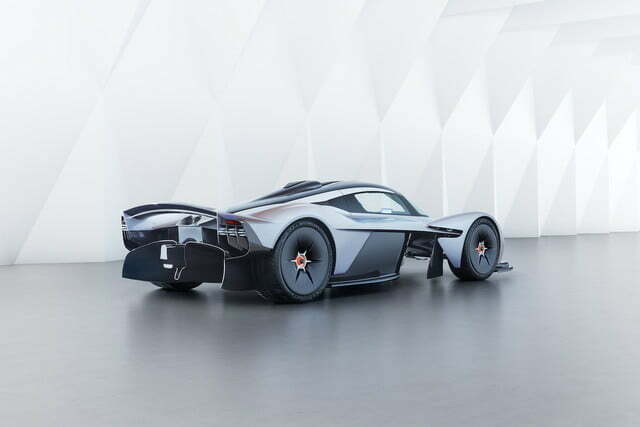 One of the automakers still committed to keeping the configuration alive for as long as possible is Aston Martin, and now the British company has released images and technical specifications for the brand-new 12-cylinder it developed to power the upcoming Valkyrie. 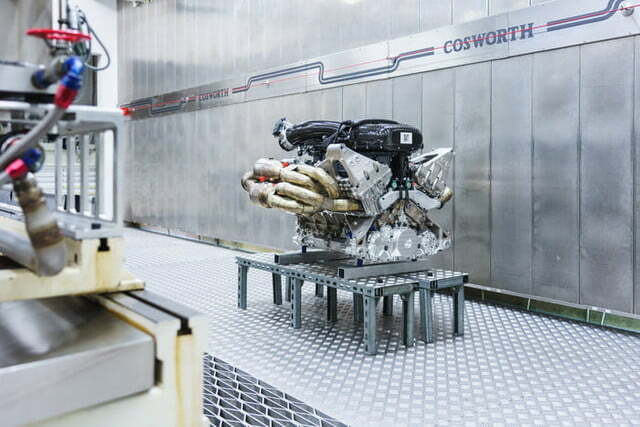 Aston Martin teamed up with renowned engineering firm Cosworth to design the V12. 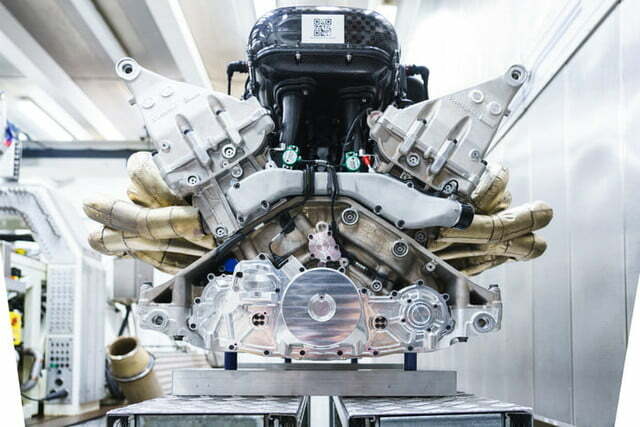 The project brief was simple: Create the ultimate expression of the internal combustion engine. 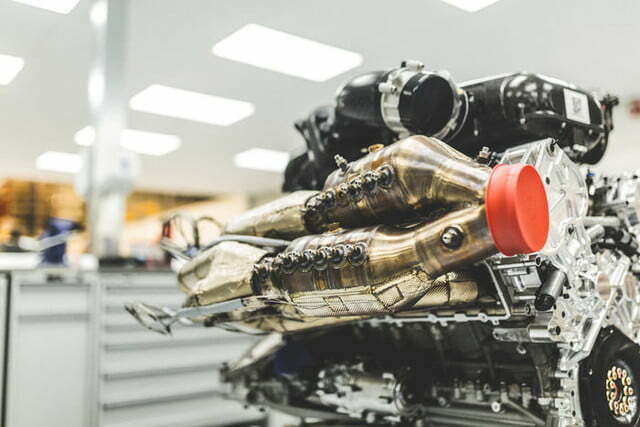 The Mona Lisa of engines is a naturally aspirated, 6.5-liter unit that makes a whopping 1,000 horsepower in its most basic state of tune. It generates its peak output at a superbike-like 10,500 rpm, and it doesn’t reach its red line until 11,400 rpm. Its peak torque output of 545 pound-feet arrives at 7,000 rpm. One-thousand hp and 545 lb-ft. are impressive statistics, but there’s more. 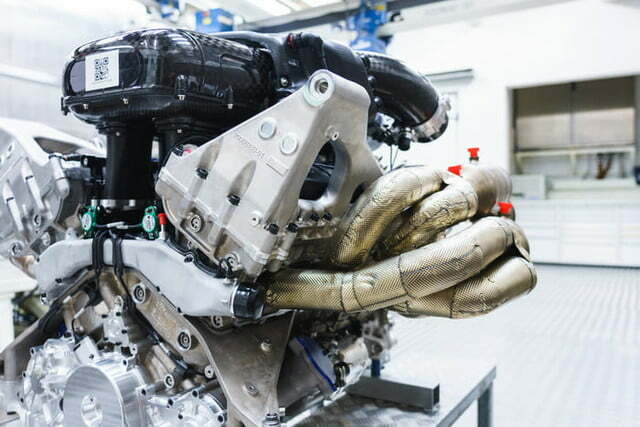 The V12 will serve as the central component of a gasoline-electric hybrid powertrain. 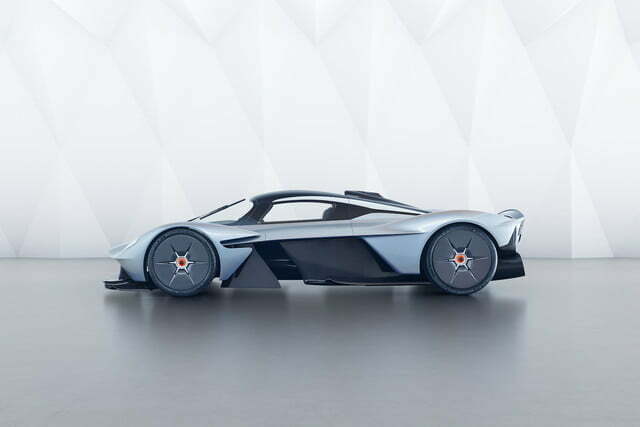 Aston Martin isn’t ready to divulge additional technical specifications yet, so we’ll have to be patient to find out precisely how much power Valkyrie drivers will have under their right foot. The trade-off is that, according to Car & Driver, the engine will need to be rebuilt every 62,000 miles. The rest of the car is just as advanced as the engine. 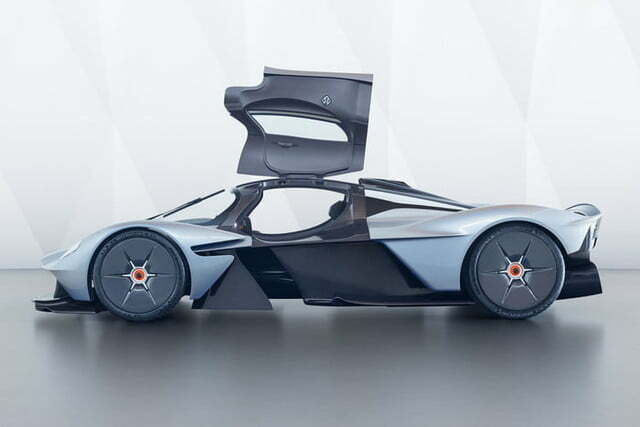 Aston Martin and its partner, Red Bull Advanced Technologies, have focused their efforts on the car’s aerodynamics, design, and cockpit. 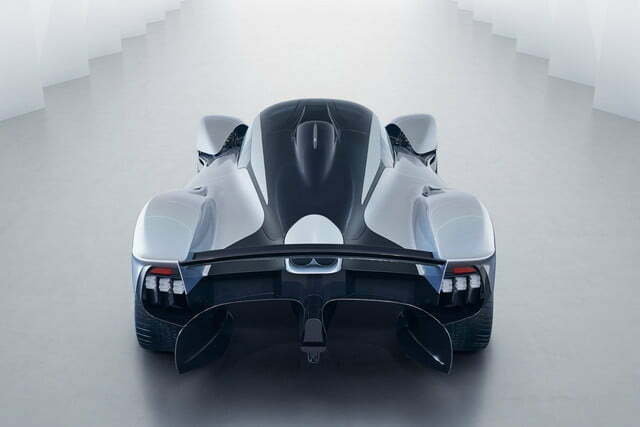 The Valkyrie will be one of, if not the, most aerodynamic production cars ever made. As such, form follows function with its teardrop cabin, massive wheel arches, and full-length Venturi tunnels that run along the cockpit floor. 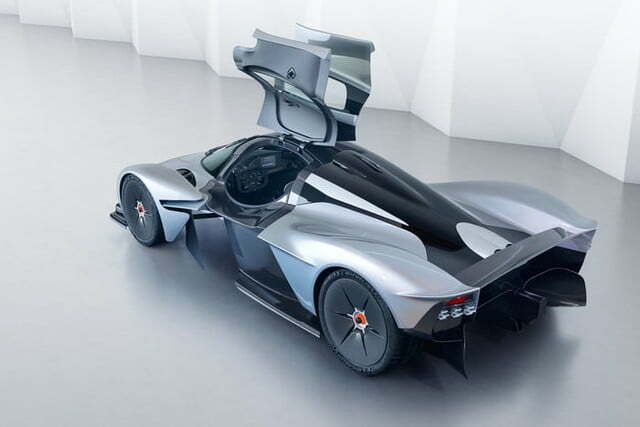 The Valkyrie consequently looks like a Formula One car with a thin coating of bodywork. Exterior design highlights include F1-inspired headlights built within an exposed anodized aluminium frame. 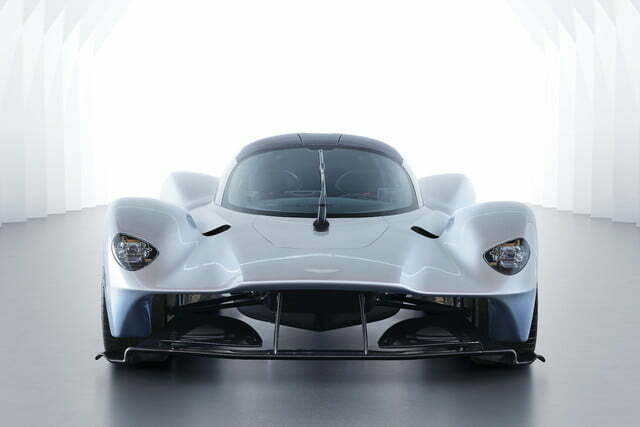 These beams are 30-40 percent lighter than the brightest Aston Martin road car headlights. 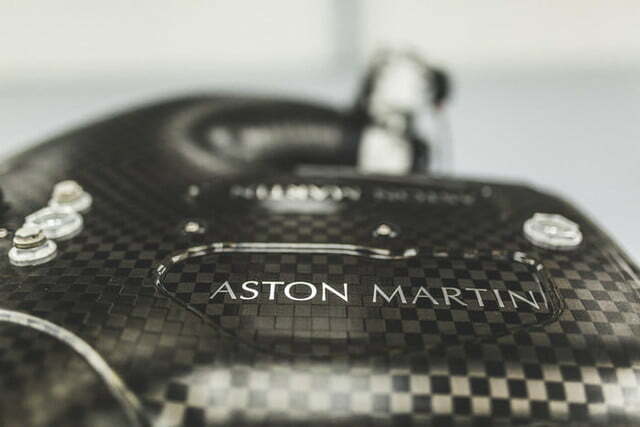 In the name of weight savings, the Aston Martin “wings” badge is neither a standard emblem nor a cheap sticker. The design team crafted a chemical-etched aluminium badge just 70 microns thick (which is 30 percent thinner than a human hair). The “lacewing,” is 99.4 percent lighter than a normal Aston Martin badge. A center-mounted stop light (CHMSL) is built on the tip of a shark’s fin that runs the length of the car’s rear bodywork. At 5.5mm wide and 9.5mm long, it’s the thinnest CHMSL in the world. 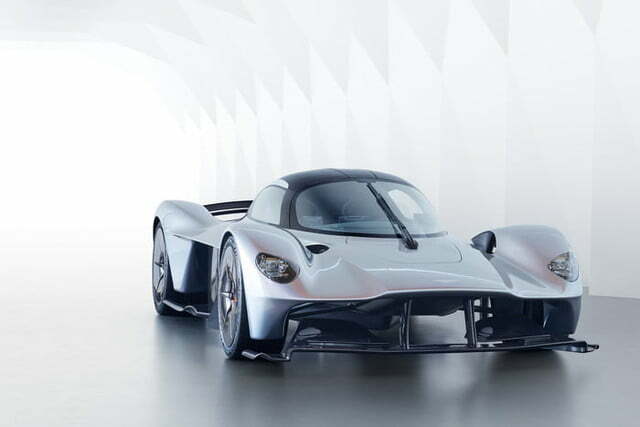 Under the guidance of legendary F1 designer Adrian Newey, the entire car has been molded in the pursuit of aerodynamic perfection and downforce. 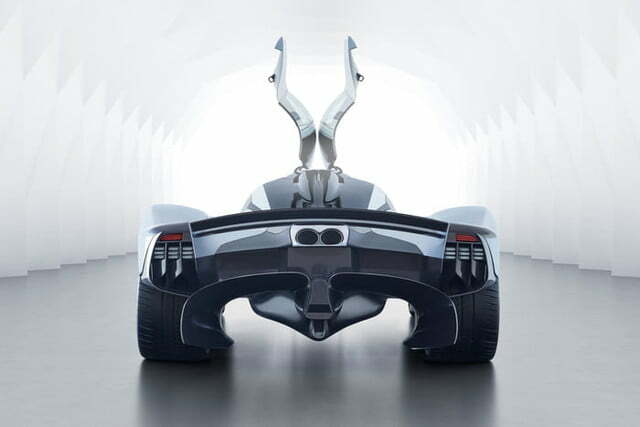 The redesigned Valkyrie prototype adds openings in the body between the cockpit and front wheel arches to improve downforce. 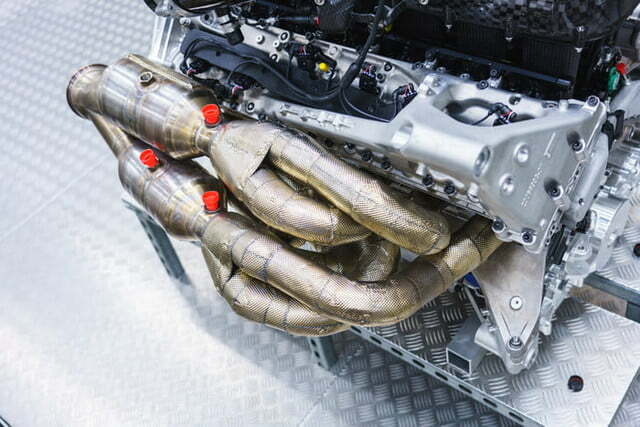 The Venturi tunnels draw massive amounts of air beneath the car to feed the rear diffuser. Because these tunnels contribute so much to the hypercar’s stability, they allow the upper body surfaces to focus on aesthetic appeal. Inside, Aston Martin’s interior designers worked to maximize cabin space and focus on driver engagement. The seats are mounted directly to the tub, with passengers seated in a ‘feet-up’ position (just like in an F1 car). A four-point harness comes as standard, and a six-point unit is available. 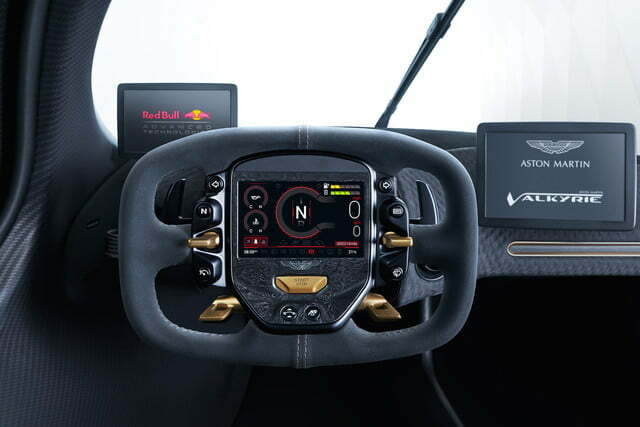 Everything the driver would need is accessible on the race car-inspired, detachable steering wheel. Visibility is also exceptional thanks to the design of the greenhouse. Door mirrors have been replaced with rear-facing cameras and live feeds on the A-pillars (we’ll see if the governing bodies are cool with that decision). 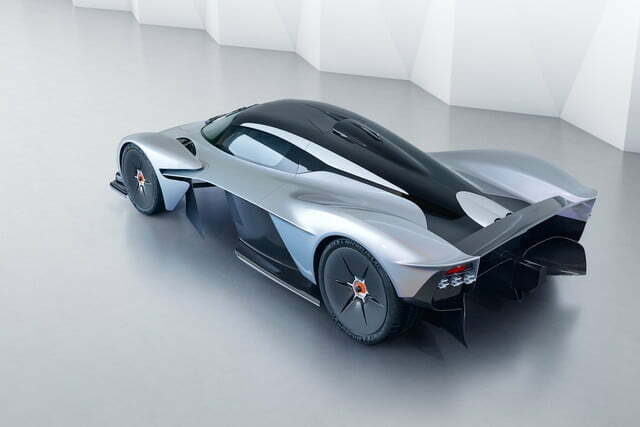 Aston Martin will make 150 examples of the Valkyrie, and every example has been spoken for in spite of a base price in the vicinity of $3.2 million. Deliveries will kick off in 2019. Updated 12-13-2018: Added information about the Valkyrie’s engine.